The announcement of Donald Trump’s “campaign” for the 2016 Republican presidential nomination came with something that was equally embarrassing: random “conservatives” taking the man seriously. 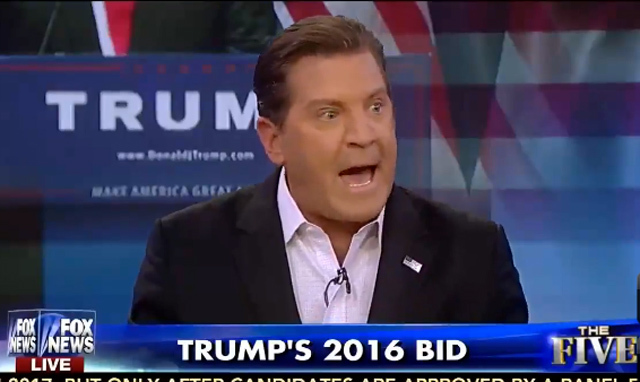 One such individual was Fox News’ Eric Bolling, who was thankfully put in his place by Dana Perino. Dana: Right. On what planet is that actually true? Do you think you can make Mexico pay for a permanent wall between Mexico and the United States? Eric: You can build a wall. […] You tax them. Eric: Here’s what I think. You may not like a lot of things Donald Trump said today, but for once we heard something different. Dana: But you heard something different that’s totally not plausible! The American people are so starved for anyone—anyone—to tell them the truth, that they’re willing to give an unprincipled, shameless, self-promoting (but successful) buffoon traction. Why? Because he’s uncensored. He says what he wants, and he’s not scared of anyone. 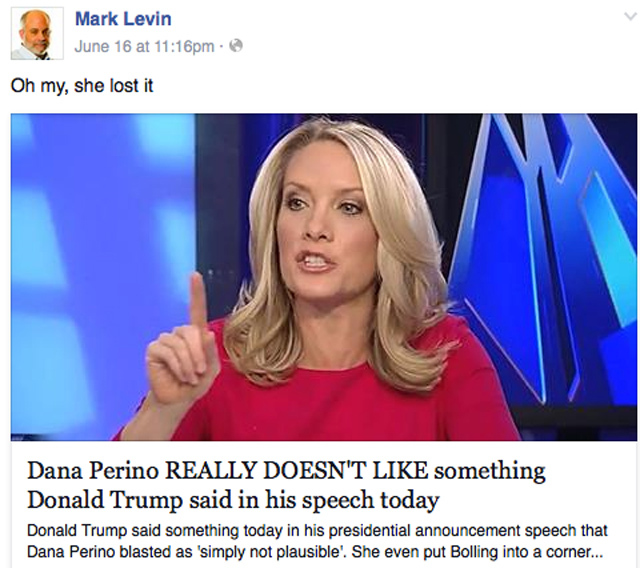 Even Mark Levin has sided with Bolling and Trump over Mrs. Perino. The radio host believes Mrs. Perino “lost it” for accurately pointing out that Mr. Trump’s public policy diarrhea pot-shots are only enjoyed by partisan flies. The rest of the panel on “The Five” were intellectually honest enough to agree with Mrs. Perino and laugh Mr. Bolling off the stage. The moral of the story is to always think objectively. 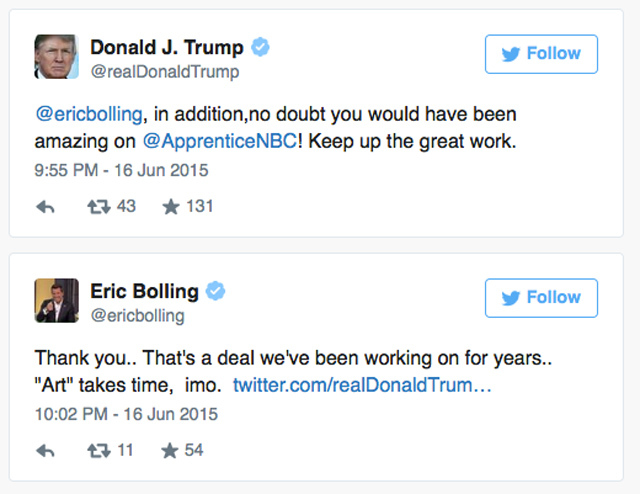 Don’t believe a guy like Eric Bolling just because he appears on Fox News. Don’t believe everything Mark Levin says just because he’s a successful conservative radio host. Some media personalities are more interested having the right friends than giving you proper analysis, and some people are so blinded by hatred of a particular political party that they’re willing to entertain a clown like Donald Trump running for president. If you are not always on your guard, there is a good chance that seemingly trustworthy sources of news will lead you astray. It’s very true. We are literally starved for someone who speaks plainly and isn’t scared of anyone. Also, I suspect most Americans are ready to kick some behind. People are tired of capitulation and two faced leadership. Like it or not, we will not be voting for the lesser of evils this time around, but rather the evilest of evils if necessary. It’s a very dangerous position for the country to be in. I would really like to be wrong, but I’m just not seeing it anywhere. In some weird way — if it came down to Hillary Clinton and some goof Republican who isn’t up for the job — I’d rather have Mrs. Clinton in office. The reason being is that the Fed has kept interest rates at artificially low levels for a long time. That has to go up sometime. That’s going to be a bumpy ride (to put it nicely), and the media would love to have a Republican in office for that one. I suspect a lot of the media and the DNC secretly want a Republican to win in 2016. Not only so they can blame the GOP when interest rates go up, but also so so they can blame the warmongering Republicans if and when we end up invading Iraq all over again. In fact, Obama’s “strategy” for the Middle East is to stall until his term is over, and then let his successor get blamed for what happens next. Of course, if Hillary wins, then whatever goes wrong will be blamed on Bush. And the election process is now a bad reality show. Oh, well. Having Trump in the race is kind of like having Larry in the Three Stooges. They don’t really need him, but it would not be as funny without him. I have no doubt that Trump will provide some humorous moments, but that’s my issue with him — he will take away precious time from serious candidates who deserve to be heard on a big stage. 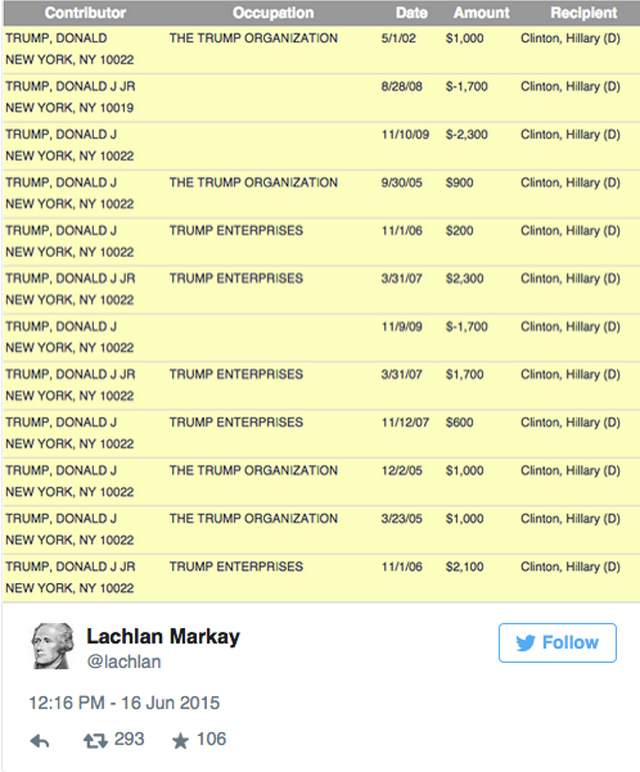 If he is allowed into the debates, he’ll find a way to make it all about him. Another candidate will make really strong points, but the headlines the next day will be about how Trump said [insert ridiculous statement here].